The Festival Runway Fashion Show in Laguna Beach is one of the most clothing-cool creative events around. The Festival Runway Fashion Show in Laguna Beach is one of the most clothing-cool creative events around. It's free and struts on Sunday, Aug. 19. 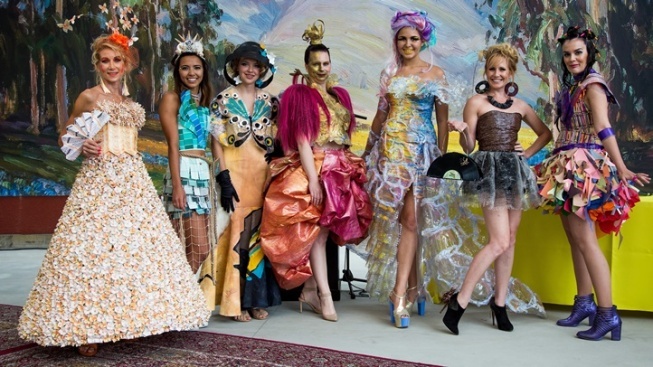 QUIRKIEST FASHION SHOWS... in the Golden State, and a glam gathering that has an eye on the future of reusing, recycling, and thinking outside the box, design-wise. Or perhaps "off the hanger" is more apt in this case.